Oppo has launched Oppo Reno smartphones in China today. While the Reno 10x Zoom Edition features flagship specifications, the standard edition of the device is powered by Snapdragon 710 processor. 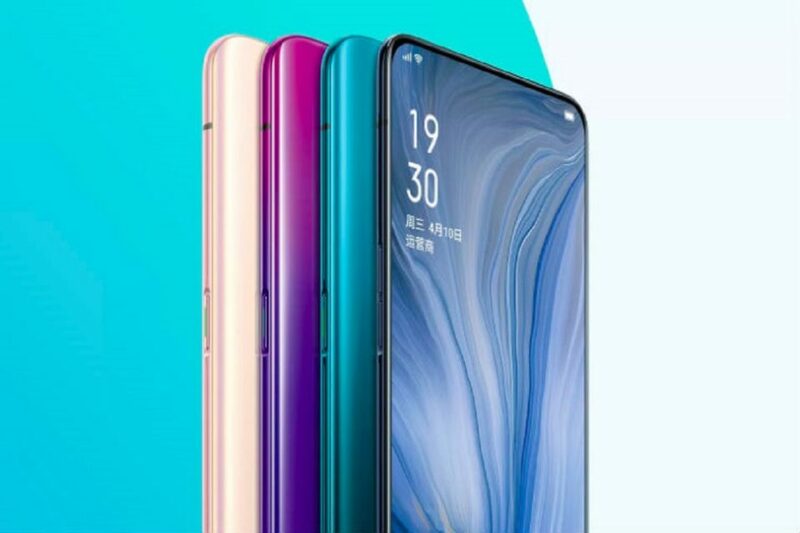 Oppo has launched the Oppo Reno series smartphones — Oppo Reno 10x Zoom and Oppo Reno standard edition — in China today. The Oppo Reno 10x Zoom smartphone is powered by Snapdragon 855 processor and carries the 10x lossless zoom capability showcased by the company at this year’s Mobile World Congress (MWC) in February. The standard edition meanwhile, is powered by Snapdragon 710 processor and does not have hybrid zoom capabilities. Oppo Reno 10x Zoom features a 6.65-inch AMOLED notch-less full-screen display with HD+ resolution of 2340 x 1080 pixels. It has a 91.3 per cent screen-to-body ratio with Corning Gorilla Glass 6 protection and carries the sixth-generation in-screen fingerprint sensor. It is powered by Qualcomm Snapdragon 855 processor paired with up to 8GB of RAM and up to 256 GB of internal storage. The phone is backed by a 4,065 mAh battery and supports Oppo’s VOOC 3.0 fast charge. The device also carries a copper tub liquid cooling heat sink. Oppo Reno 10x Zoom has a shark-fin shaped 16MP (f/2.0 aperture) pop-up selfie camera with an LED flash. On its back, the phone carries a triple camera setup that includes 48MP Sony IMX586 primary sensor with f/17 aperture and OIS (optic image stabilisation) support, an 8MP secondary sensor with f/2.2 aperture and an OIS enabled periscope telescopic lens of 13MP. The triple rear camera setup is coupled with dual-LED flash and laser autofocus. The device runs on Android 9 Pie based ColorOS 6 skin. Oppo Reno 10x Zoom also features NFC, a 3.5mm audio jack and Game Boost 2.0 acceleration engine. The phone has four colour options namely Nebula Purple, Extreme Night Black, Mist Powder (Gold), and Fog Sea Green. Oppo Reno 10x Zoom is priced Yuan 3,999 (approx Rs 41,000) for 6GB/128GB storage model, Yuan 4,499 (approx Rs 46,000) for 6GB/256GB model, and Yuan 4,799 (approx Rs 49,500) for 8GB/256GB model. The standard edition of Oppo Reno has a smaller 6.4-inch display and it is powered by Qualcomm Snapdragon 710 processor. The phone has a dual rear camera setup including the OIS assisted 48MP sensor and a secondary 5MP sensor. The battery on the standard edition has 3,700mAh capacity and offers 18W rapid charging instead of VOOC 3.0. The standard edition is priced Yuan 2,999 (approx Rs 31,000) for 6GB/28GB storage model, Yuan 3,299 (approx Rs 34,000) for 6GB/256GB model, and Yuan 3,599 (approx Rs 37,000) for 8GB/256GB model. The 5G edition of the Oppo Reno 10x Zoom is expected to be launched by Oppo at the global launch event of the device on April 24 in Zurich, Switzerland.